You can add an unlimited number of jobs and tasks. When time is added (manually or by clocking in and out from the mobile app or web), the employee will need to choose a job and task to associate the time with. After clocking in, the employee will also be able to easily switch jobs and/or tasks throughout their day as needed. 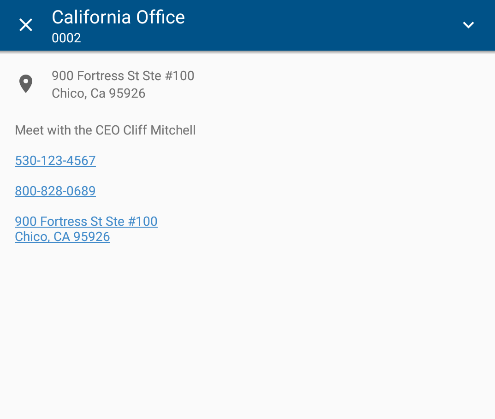 You can also use the map and address fields below to add and GPSFence! You can learn more about that in detail here! Tasks can have the following attributes: Task Name, Task Code, Access Control (for Pro Plan members only), Overtime Exempt, and Out of Bounds Exempt. Name and task code are straightforward so we'll skip those and start with access control! Access control lets you do the same thing as listed above for jobs. 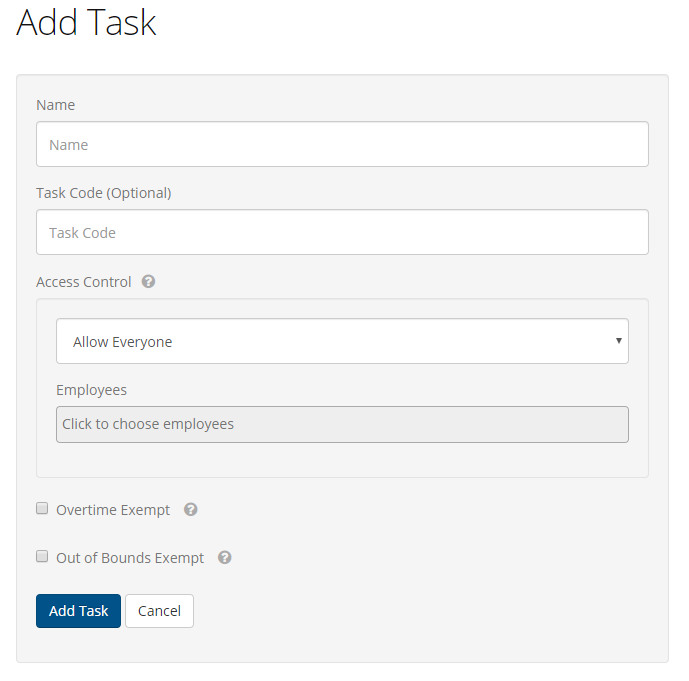 This lets you limit which employees can actually see and clock into this task.